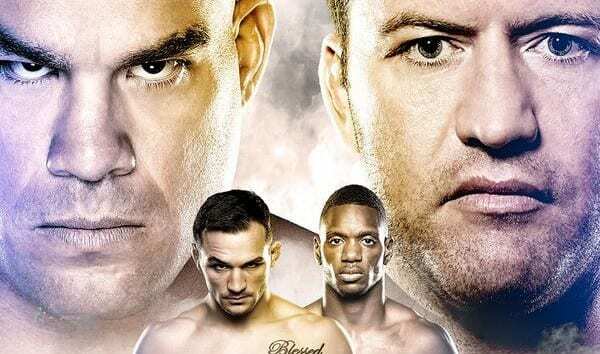 Bellator 131 is set to go down this upcoming Saturday (November 15, 2014) live on Spike TV. The hope is that the event will be a high profile card for the organization under new leader Scott Coker, as it features a few of the company’s stars. The main event features a grudge match between former UFC veterans Tito Ortiz and Stephan Bonnar. It was confirmed by California State Athletic Commission Director Andy Foster via MMAFighting.com that both Ortiz and Bonnar recently passed urine tests administered by the CSAC prior to their bout. Foster also stated that Bonnar was tested twice and Ortiz was only tested once. The reasoning is probably due to “The American Psycho” failing two drug tests for steroids back in his UFC days. This Saturday will mark Bonnar’s Bellator debut. He came out of retirement to end the bad blood between he and Ortiz. The last time we saw him, he was knocked out by Anderson Silva back at UFC 153 in October of 2012. For “The Huntington Beach Bad Boy”, this will be his second time competing under the Bellator banner. We last saw him submit former Bellator middleweight champion Alexander Shlemenko last May. Although some may argue that this is a bout between two washed-up legends, I can’t help but be intrigued. Are you interested in this scrap, and if you are, who do you see ending the war of words this Saturday night?